Yet again we have returned to Sweden, compliments of our Swedish Whisky Lady’s summer trip to the land of her birth. She brought this Box Whisky with her… carefully kept aside for just this occasion! A special Après-ski evening with whiskies from France, Switzerland and Austria. We found it very drinkable, one of those happy to be home whiskies that can work even in Mumbai’s warm weather. A bright summer dram. Dálvve is a medium-peated whisky that has been aged for around five years in first-fill bourbon casks. This is a sweet and smoky whisky with notes of vanilla. It was purchased in Sweden in August 2017 and opened from a closed bottle in December 2017. 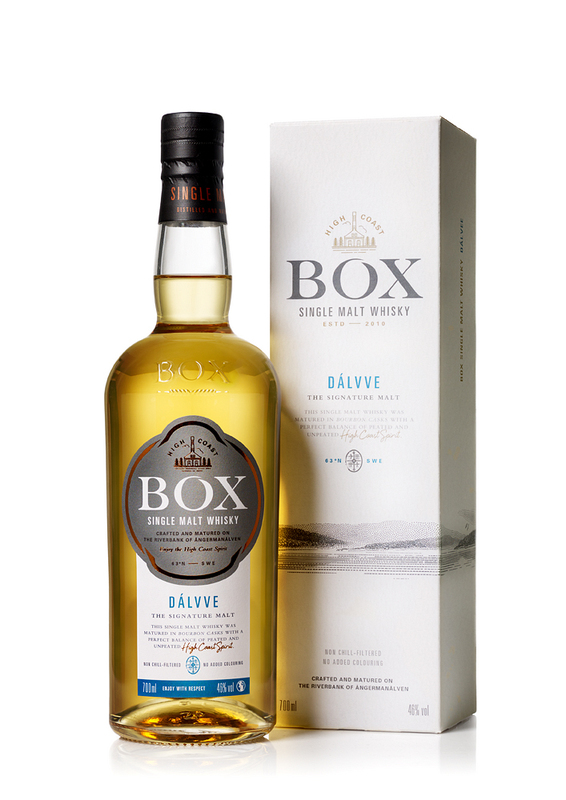 This entry was posted in Beyond Scotland, European, Sweden and tagged Box Whisky, Box Whisky Dálvve by Carissa Hickling. Bookmark the permalink.